To the person or persons who have been promoting my content on Flipboard, thank you! You were responsible for more than doubling my traffic on Friday, and this was not the first traffic spike I've seen from Flipboard. 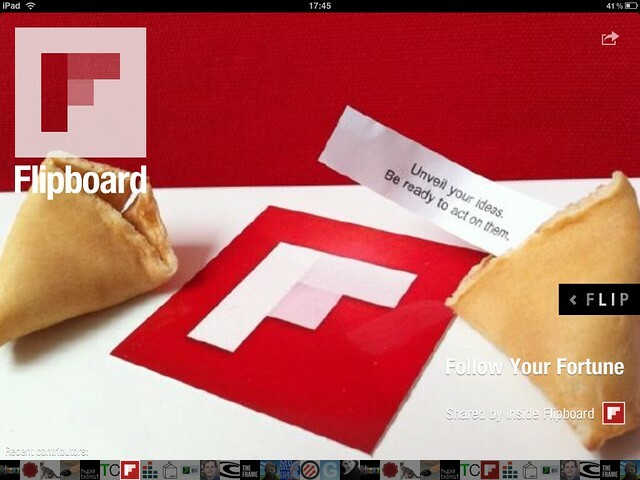 I am still relatively new to Flipboard, and I can't pretend I've figured out how to use it yet. It seems to be an effective way to make one's content more accessible to mobile device users. To see this sort of boost in traffic in spite of my general cluelessness about the platform has been great. I have attempted to set up a magazine that contains all posts from Atheist Revolution and should be automatically updated from the RSS feed. I hope this will make it easier for Flipboard users to access my content there. Unfortunately, I've been waiting for over a month for Flipboard to approve it. Until they do, I think I am the only one who can see it. In the meantime, I'll work on expanding my collection of topic-specific magazines and adding content to them manually. If you are an atheist blogger and you are not using Flipboard to promote your content, you could be missing out on some decent traffic. From what I've seen through Google Analytics, traffic from Flipboard often comes in bursts. You won't see any for awhile, and then you'll get double or even triple your usual traffic in a day, with most of it coming from Flipboard. Unlike StumbleUpon, Flipboard traffic doesn't drop off quite so abruptly. When I've had large traffic spikes from Flipboard, they sometimes last for 2-3 days. In contrast, StumbleUpon spikes would rarely last for more than a couple hours. When I first starting using Flipboard, I set up a few magazines and manually added content to them. I had no idea I could set up a magazine to be directly fed via RSS. I'm not sure if there will be any difference in the traffic generated, but it certainly is easier. Now if I can just get Flipboard to approve it, I'll be able to find out. Anyway, I am looking forward to doing more with Flipboard and tracking how it compares to Facebook, Twitter, and the like. If you'd like to give it a try, you can find me on Flipboard.